tant events and feasts and seasons of the liturgical year. All are suitable for personal or group prayer, and are organized thematically. 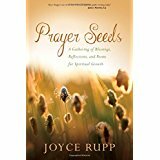 Joyce's warmth and closeness to God, along with her sensitivity to the joy and sadness of life, make her an ideal prayer companion. In the course's seven parts, I learned and played with the finer points of free writing, starting a story, character development, dialogue, plot, point of view and receptive reading. And once you pay for the course you have access to the materials forever. No time limits, no hurry to complete before the links expire. This became even more valuable as I had an unexpected family health issue arise a few weeks in and I had to put the course on temporary hold. Selecky understands that our state of mind deeply influences what we bring to our writing. She is able to convey "the how" of writing that lives beyond the craft. Taking this course, for example, made me believe I could remember again. As a busy mom with a full-time corporate job before taking this course I deeply questioned my ability to pull forth details from my past that were needed to enrich my stories. I would sit and stare at my notebook with only vague recollection of what I thought should be important moments. After an exercise in Chapter 1 on free writing though, I found myself writing about things I thought I'd long since left in my childhood. And by delving into the finer points of creative writing, the course offered me a new level of confidence in my writing skills that hadn't existed before, which further fueled my desire to keep writing. As I moved through the lessons, I felt purposeful in my writing and eagerly looked forward to the next chapter. Ideas and words flowed without resistance. After working through The Story Course, I had the seeds of a strong story and had developed pages and pages of creative writing to support it. In its own way, the course itself had become the answer to creating something. It was a one-page article in my Creighton alumni magazine, the last I read before turning out the light that night. By sunrise the next morning, the story had nestled into my soul. Louis Rotella III, also a C.U. alum and fifth-generation baker of bread - Rotella's Italian Bakery in Omaha - had written a children's book. 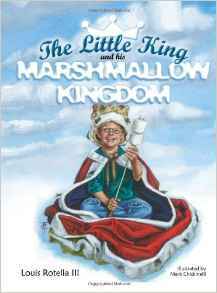 The Little King and His Marshmallow Kingdom is based on Louis and Jill's first-born, Louis IV, a diabetic with Down syndrome. The title is apt since Louis, now 16, has loved marshmallows all his life. In fact, when he and Mom go shopping, he sneaks a package (or two?) into the cart. And breakfast is an egg sandwich, cheese, apple juice and four marshmallows. 'normal' is overrated and everybody has different yet wonderful gifts to contribute,"
Louis would have almost pitied me for thinking that. For him, soccer is about being in the sun, feeling the breeze, playing with his friends. For him, soccer doesn't have anything to do with winning." The alum magazine article recorded that Louis IV's "worldview isn't as clogged by the filters accumulated through language and cognitive patterning. Rather, his 'beginner's mind' opens to life more in the moment, which is the only place where life's magic and mystery are possible." Surely it must have been life's magic and mystery that in 2016 took Louis, Mom, Dad, sister Mia and brother Nikjo to the Be Beautiful Be Yourself Fashion Show produced by the Global Down Syndrome Foundation (Denver, CO). There, Louis was honored as the 2016's Foundation Ambassador. Among other highlights, he got to meet Queen Latifah, Payton Manning, Jamie Fox and Matt Dillon. Or maybe it was they who got to meet Louis. Today, he's a busy sophomore at Elkhorn (NE) High School. His favorite subjects are math and reading. And he loves bowling class, where he throws the ball down the lane, turns around and immediately starts celebrating. You and I may never have an opportunity to meet Louis Rotella IV. And that will be our loss. Because he exudes an unabashed love of life. 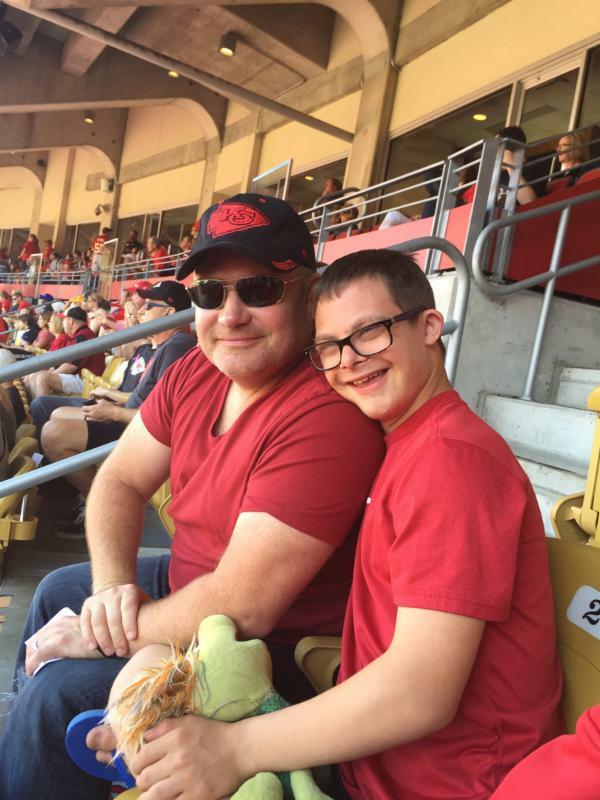 And because, like others with Down syndrome, he is making the world a better place. Click here to watch Louis IV's journey on Youtube. The past seldom lives up to its reputation. And nameless people pass unrecognized as hollow placeholders. Sharp emotions once so vivid they became life burdens vanish into breathless air. Arresting all that skips its bail with failure to appear. The author shares: I wrote this because of a sense of urgency to record my lifetime of memories before they fade like twilight. In all honesty, reaching back in time, I often come up empty-handed or with only scraps of material. I guess that's why people make quilts.